Home Columnist Fantasy Football Shambles – And It’s LIVE! 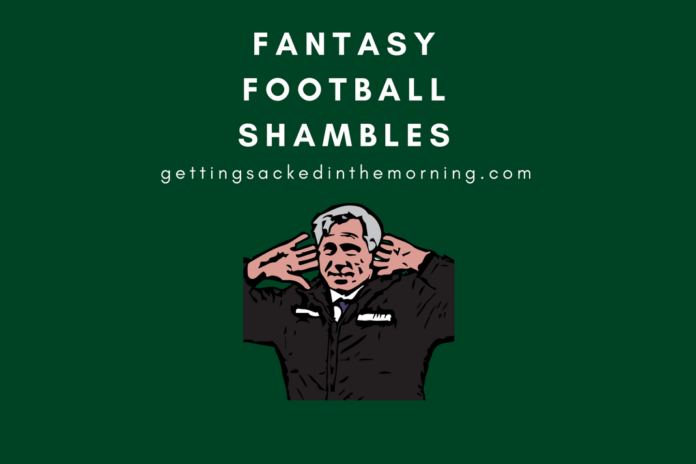 Fantasy Football Shambles – And It’s LIVE! 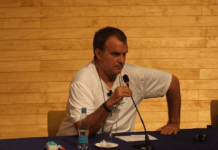 As the World Cup draws to a close (hold back those tears), attention can start to turn to domestic football once again. Pre-season has begun, transfers are being completed and most importantly of all, the official Premier League Fantasy Football game has re-launched. If you’re new to FFS, here’s the deal: I give you uninformed and poor quality tips for fantasy football. Not all of my ideas are terrible but you don’t have to take my advice, I like to think I raise some good points but I make some stupid decisions, usually after I publish the article, which never pay off. This year might be different. So what’s new? On the face of it, nothing looks different at all. The same three chips are available (Bench Boost, Free Hit, Triple Captain) and there’s no unusual rule changes. 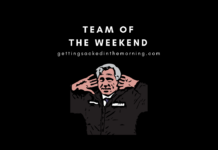 A sensible switch has seen it impossible for newly-created teams to win the Manager of the Week award, as it turns out, people have too much time on their hands and make dummy teams to score the highest game week total and win a keyring or something. As less than 50 people out of roughly 5 million players ever win, we won’t worry ourselves about that too much. There have been some interesting positional changes. Not for Mo Salah though, he remains a midfielder now priced at £13m. Both Wilfriend Zaha and Marko Arnautovic have found themselves changed to strikers, priced at £7m. This makes them an interesting option as a third striker, as they are reasonably priced but there is, of course, a chance they’ll revert to their midfield position in some games. Arnautovic is a particular concern as West Ham have a new manager and we’re yet to see how he’ll field the Austrian. Other less exciting changes see Ashley Young (6m) and Fabian Delph (£5.5m) become defenders whilst Arthur Masuaku (£4.5m) and James Milner (£5.5m) are now midfielders. Great. We’ll look at the prices of players closer to the start of the season – there’s still a lot of dealing to be done and until we see what tactics some managers are going to play there’s little point in speculating. Even if it is tricky to pinpoint which players you want at this stage, we can certainly speculate which teams have a favourable start. The first thing I’d like to point out is that Tottenham have 9 players still involved in the World Cup. I’d expect them to have at least a couple of weeks break following the end of the tournament and a delay to their pre-season. I’d be extremely surprised if they all line up away at Newcastle on the opening weekend, even if Harry Kane seems the type to want to play every game regardless of his fitness. An extra spanner in the works is that Son Heung-Min is expected to be away at the Asian Games for much of August, so all in on Llorente?! Liverpool seem to have a fairly favourable fixture list to kick things off, with Salah’s £13m price tag set to burn a hole in my team. Firmino is very reasonably priced at £9m but with Brazil going reasonably far in the tournament, it remains to be seen how much rest he is given. Chelsea also have a reasonable first 5, but it remains to be seen who will even be in charge as Conte’s future hangs in the balance. It really is a ludicrous situation and one that won’t help me. Man Utd can’t be ignored and with Mourinho in charge, having some defensive coverage from his teams is advisable. If Lukaku and Rashford miss the opening weeks that might open the door to Alexis Sanchez, priced at £10.5m and a midfielder. Man City are, of course, the reigning champions and have a tricky looking start away to Arsenal. More on them in a second. Once the Arsenal game has been negotiated though it’s a very favourable run and personally, I’m going to pick Leroy Sane, who is presumably hungry and rampant after missing out on the World Cup. As one of the few of City’s attacking options not involved in the World Cup, he should be well rested and his quality is there for all to see. Arsenal are a bit of an unknown quantity as they have a new manager for the first time in 22 years. Aubameyang looked the part last season but at £11m, I’ll be waiting to see how the team gels before investing. Aaron Ramsey at £7.5m is somebody I’ll be keeping an eye on in pre-season, whilst Mkhitaryan at £7m could be the greatest bargain of all. It’s Man City followed by Chelsea to start with though, so be wary. From the rest, Everton have a wonderful set of opening games. Marco Silva got Watford off to a flier last season and whilst they’re not the tightest defensively, they’re good going forward. Walcott at £6.5m and Tosun at £7m seem like early FPL favourites. Crystal Palace finished last season strongly so Zaha as a £7m striker doesn’t seem so mad, whilst Bournemouth start at home to Neil Warnock’s Cardiff. If we can figure out if it’ll be Wilson or Defoe, get them in. Southampton also look to have landed a soft start, Mark Hughes will hope to build on keeping them up from last season and Charlie Austin is just £6m…but can he stay fit? I’ll be avoiding Burnley due to their Europa League commitments in the early weeks whilst Huddersfield also have a rough start. Of course, all of this is based on last season, who is to say the teams who struggled last season will do the same this year? I’ll be back later in the summer to look at how transfers are affecting my FPL thinking and I’ll make a stab at a first draft team. It will change. Many times. Bye for now. Classic Championship Manager addict, Newcastle United fan, love writing about both. Follow me on Twitter.